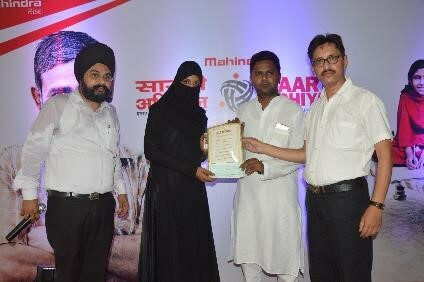 Mahindra Truck and Bus Division (MTBD) had instituted MAHINDRA SAARTHI ABHIYAAN (MSA), the CSR initiative of Mahindra Truck and Bus Division in F15, aimed at acknowledging the spirit and far-sightedness of a truck driver in educating his girl child up to standard 10th. Mahindra Saarthi Abhiyaan was born to address the issue of higher education within the HCV Driver community. A lot has been done for the health and safety of drivers but very little attention is paid towards the education of their daughters. The initiative is one way to positively engage with one of the most critical ingredients in our ecosystem. The true Saarthi, who is running the economy on his shoulders day in and out. And also enhancing his daughter’s life through education. MTBD have disbursed 2408 scholarships since the launch of the MSA program in F15, and celebrated this achievement during the Mahindra Transport Excellence Awards ceremony of 2014 and 2015. 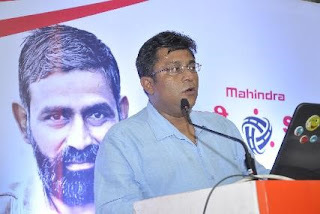 Mr. Mehta spoke on this occasion and brought alive the thought process behind the initiative: “Mahindra Saarthi Abhiyaan, is a salute to this Saarthi – the truck driver who in spite of all the odds he faces, has shown great mettle in educating his children and especially Daughters. We through this initiative take a bow at these heroes who have so relentlessly, with great hard work, have ensured their daughters become engineers, IT professionals, teachers etc. This is our way of thanking them, showing a sense of gratitude for this outperforming effort! Education and that too for the girl child is the chosen path for CSR in Mahindra Group and we at MTB have extended the same to our CSR initiative. So that we would encourage drivers and reach out to their families and connect emotionally with the community”. Continuing with this initiative for the third year, we are pleased to announce the roll-out of MAHINDRA SAARTHI ABHIYAAN 3rd Edition for F17. 1000 scholarships of Rs. 10,000 each will be awarded to the daughters of HCV truck drivers who have successfully completed education up to Standard 10th and are continuing with further studies. Below is the report of the final outcome of the Mahindra Saarthi Abhiyaan 2nd Edition in F16. The response towards the program was overwhelming from truck drivers’ daughters with a receipt of over 1800 applications. 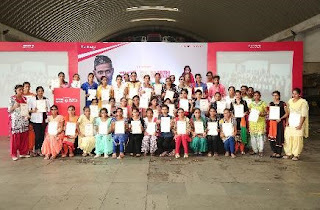 Based on validation of documents by our process auditors, PwC, 1,300 daughters of truck drivers were qualified and were given the Mahindra Saarthi Abhiyaan scholarship of Rs.10,000 each. During the process of disbursement, MTBD had invited the local transport association representatives and key customers of the trucking industry to grace the occasion. All the winning daughters were accompanied by their respective parents. It was an emotional moment and many girls spoke about their fathers whom they feel proud of. 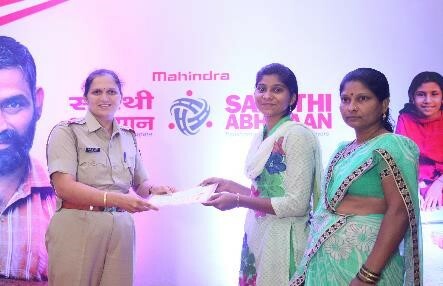 They also thanked Mahindra and MTB for this noble initiative and how this token of appreciation is a big motivation in their life. 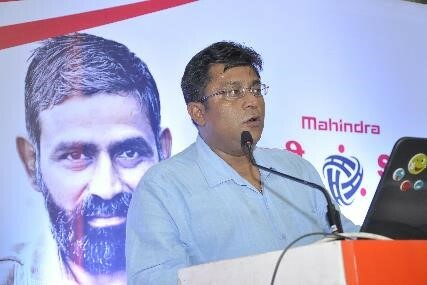 On these occasions, a few truck drivers also spoke about this program and applauded Mahindra for this unique and pioneering initiative for truck drivers. The ceremonies to disburse the scholarships were held in May and June 2016 at 16 locations across India. The program was well supported by the respective MTBD Zonal Heads and Area Business Managers along with Dealer Heads/CEOs who made this noble cause a bigger success and also integrated it with their business needs. Can you please update, When scholarships notification for 2017 will be issued and contact address of scholarship cell.